We will be looking at how to check airpods battery on Android Devices. Apple sometime in 2016 released a new gadget called the Airpods. Alongside their iPhone 7 and 7 Plus smartphone which had no traditional 3.5mm jack. I thought that since apple has gone wireless, other manufacturers would follow suit. And that was going to be the end of the 3.5mm jack on Smartphones. But i was wrong. As we can see years later, phone makers are still including the 3.5mm jack on their device. Even the newly released Samsung Galaxy S9 and S9 Plus are still sporting the 3.5mm jack. It appears as if apple shot themselves in the foot with that big leap forward. And i honestly thought they would bring back the 3.5mm jack in their next device but it as it turned out. I was wrong once again. Years later, the 3.5mm jack is till no where to be found on apple devices. Even in the newly released iPhone X and forcing the iPhone X users to shun out an extra $100+ for the airpods after spending about a thousand dollars to acquire a unit of the iPhone X. 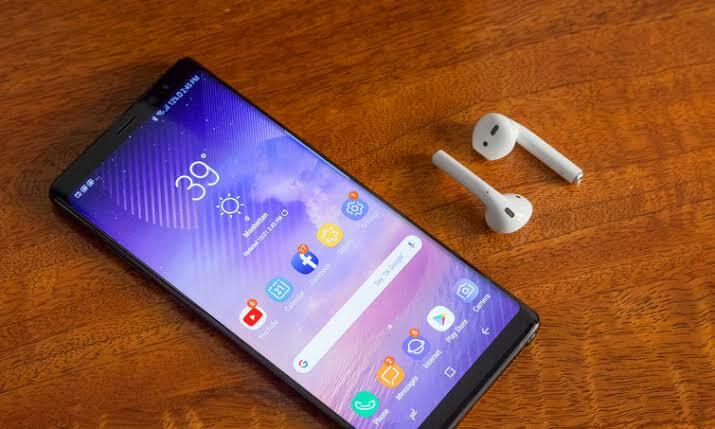 After the successful launch of the airpods, people started experimenting and found out it can actually work when paired with an android device instead of the intended iOS devices. Although it works best with iOS devices. There has been a problem for android users who use the airpods that they can not really figure out. Which is keeping track of the the airpods’ battery level. Which honestly can be pretty frustrating. Imagine listening to your favorite music this moment and seriously grooving to it and the next moment the airpods goes off. Just because the battery is dead and you got no warning before it happened. Just like using an Android smartphone without being able to see your status bar where it shows your battery and not having to know if your phone will go off in next minute or not. Having to charge it at any opportunity you get because you do not want it to go off unexpectedly. Well say goodbye to that feeling of not knowing when your airpods are low, as we bring you steps on how to check airpods battery On Android. ⚫ Search For Air Battery and click on the app developed by Georg Friedrich . A big thanks to him by the way for creating this amazing app. ⚫ After installing the app, open the lid of you charging case with the airpods in it. A pop up with the battery status of each of the airpods will be shown on your android device. Although the app is free to download, there is also a pro version which can be unlocked if you pay for it. This will get rid of the advertisement on the app. But if the advertisements do not bother you. Them you can keep using the app for free. The airpods is definitely a very nice, durable, top notch accessory and gadget, and the fact that it can be used on Android and also know its battery status makes it even more awesome. No update have been done to the airpods since its released in 2016 neither have a new one been released. But rumors has that a second generation airpods seems to be in the works and should be out before the year ends. Hopefully, it also get to work with android.